103. ST. MICHAEL, Handsworth (St. Michael's Rd. 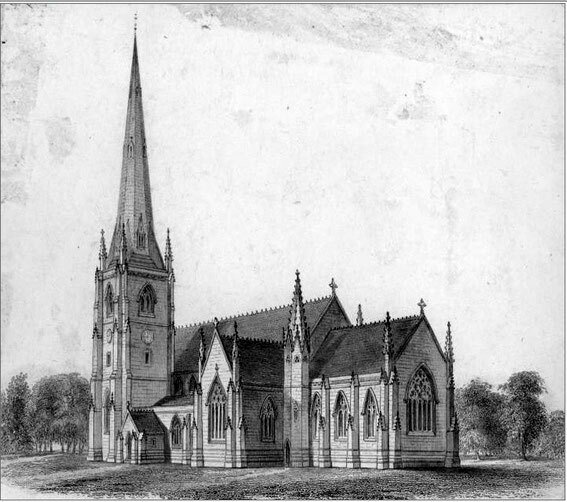 off Soho Hill), a stone building designed by W. Bourne in the Gothic style and comprising chancel, nave, aisles, transepts, and tower with spire, was consecrated in 1855 as a chapel of ease to St. Mary's, Handsworth. A parish was assigned out of St. Mary's in 1861; part of it was taken to form part of the parish of St. Peter, Handsworth (1907). The living, a perpetual curacy from 1861 to 1868 and a vicarage thereafter, was in the gift of the Rector of St. Mary's until transferred to the patronage of the bishop in 1892.